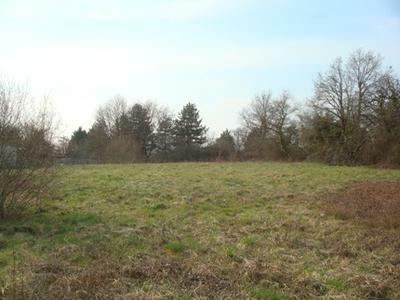 Located in Department 36, Indre, this piece of constructible land is centrally located in very rural France. This is a really nice piece of constructible land. 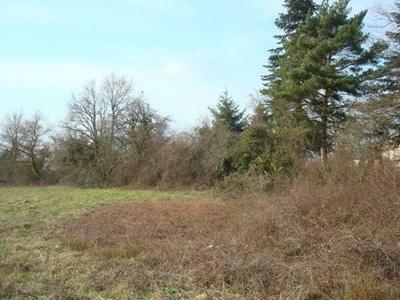 This super plot of land is situated just outside the lively little town of Chaillac where there is a selection of small shops and services, and 3 restaurants, as well as a lovely swimming and fishing lake. The larger mediaeval town of St Benoit du Sault with supermarket and more shops and services is around 5 minutes away by car. In 45 minutes you can be at the International airport of Limoges with daily flights to numerous regional UK airports. The land is around 2.285m² and the water, electricity, telephone runs to the front of the land. A fosse septique would need to be installed. The land is situated on the edge of the village and only 4 minutes walk to the square in Chaillac where all the amenities are located. The Certificat d’Urbanism (CU – outline planning permission) would need to be re-applied for. This recently expired but can be renewed with the Marie. 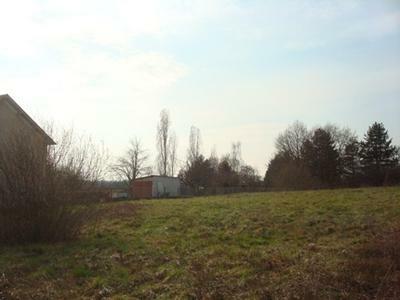 This is a great building plot in a very nice location. The land has open views over the countryside in front of it. Housing styles in this little town vary from traditional and modern French, with a new timber clad building just a few houses away and a number of grand chateaus. For the land I am asking £11,000. The Notaire fees will be payable by the purchaser and are roughly 10% of the sale value, I can get a price if required. The Notaire will also be able to obtain the renewed CU. I have owned the land for about 11 years and the only reason for its sale is that I have a house and more land 20 kilometres away in the Brenne Parc Naturel and I’m concentrating now on its restoration. The little market town of Chaillac, which lies in the Indre department in southern Centre Val de Loire, is a lively, small town, which has a good weekly market and useful amenities. It was once an important centre for the mining of fluorite and barite. The mines have long been closed, however, and the 100-hectare site they once occupied is to be completely revamped and made into a lovely natural park, preserving the rural beauty of the region. Chaillac is full of traditional charm and offers a range of things to see and do. There's a lovely village church, a full complement of local shops and services, and even a mini supermarket. It is also good to know that, as eating and drinking are two of France's most celebrated pastimes, that Chaillac has a couple of café bars and a highly recommended restaurant to add to its charms. Market day is Saturday and it is worthwhile paying a visit to catch all the hustle and bustle of a traditional French market. The mining museum is another good place to visit, which provides a fascinating insight into the town's history. A larger town nearby is the mediaeval town of Argenton sur Creuse. This is a riverside town which is beloved of artists. Argenton boasts Several supermarkets, restaurants and builders merchants as well as some lovely bakeries and a Chemistry Museum. There are several airports which can bring you near the Chaillac, although as yet there are no international airports within the department. Choose to fly into Limoges, Poitiers or Tours and you will not have too far to travel. Ryanair serves all three, with Flybe also serving Limoges. The TGV takes you to Tours also, from where you can access local trains. Driving to the town is quite simple, as it lies on the D36, easily accessed from the A20 motorway. The Indre, department 36, is located in the south of the Centre-Val-de-Loire and is named after the river that flows through it. It has a historical link to the neighbouring department of Cher as together they form the old province of Berry. This is considered to be the most attractive part of the Loire Valley. The department is best known for its pyramid-shaped goat's cheeses and scrumptious pies. The Indre is a medieval department just waiting to be explored. It proudly boasts over 80 churches and 100 castles. The green hills and open fields that make up the surrounding countryside are great places to relax and spend time. The area is unspoiled by tourism or industry. In the north, the castles of Valencay, Bouges and Azay le Ferron form a 'Golden triangle'. It is here that a music festival takes place every September. In the west, you will find the vast plains around Issoudun, a major wine producing area. This may explain the high number of people wishing to retire here! In the south are spectacular landscapes that inspired the likes of Monet and Guillaumin. To the north-west you will encounter the beautiful nature reserve of Brenne, nicknamed 'the country of a thousand lakes'. This is a great place to go hunting or fishing. There is a great variety of flora and fauna in the area making it an ideal place for nature lovers to visit. The centre of the Indre around Châteauroux is where you will find the cultural heart of the department. It is here that many festivities take place over the summer months. Châteauroux is the capital of the Indre with a population of just over 50,000.